Shallow end opening cupboards located usually within easy reach of an eating area. These can be any depth but are normally 6” deep and with adjustable height shelving ideal for condiments, honey, jam, Worcester and tomato sauces etc. 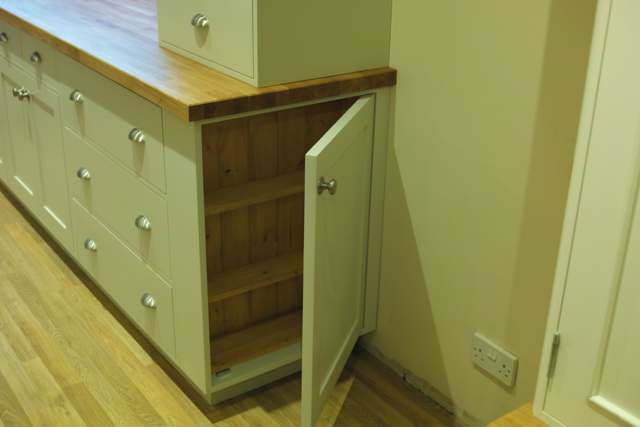 These shallow cupboards are a great way of maximising that little bit of space left and the convenience will make you wonder why every kitchen doesn’t have such a handy feature.